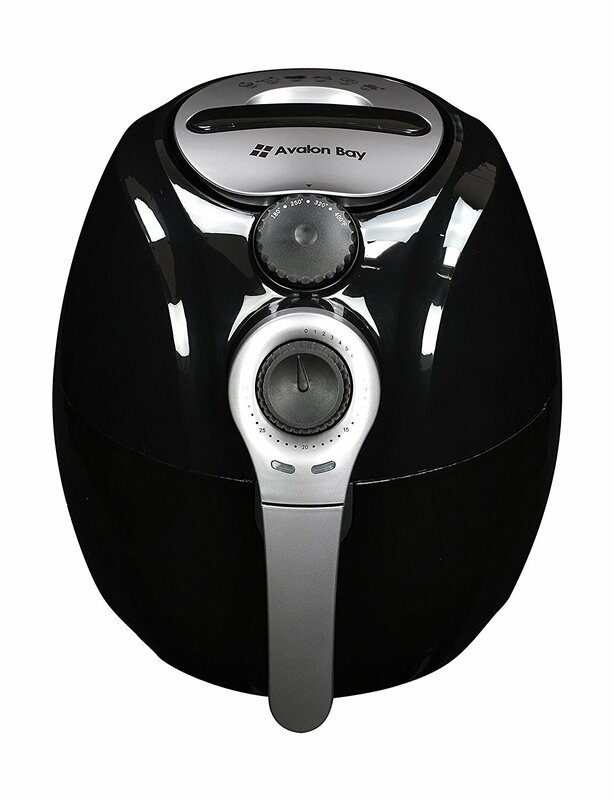 Have you ever heard about Avalon Bay Airfryer? Chances are if you have been searching for a good air fryer, you may have come across different models and you were unable to determine the best. In this article, we shall see various reasons that make Avalon bay air fryer the best air fryer in the market today. Do you want a fryer that cooks fast, easy to clean and very easy to use? Well, this article covers all the features, pros, cons and lots of information which prove that Avalon Air fryer is the best among others you have ever thought about. You can never find this information elsewhere. Read on and make a decision today. 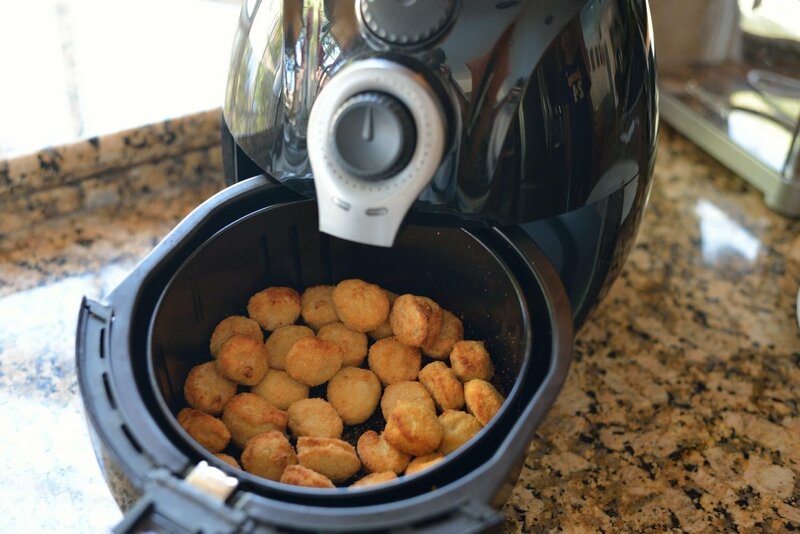 How Does Avalon Bay Airfryer Work? 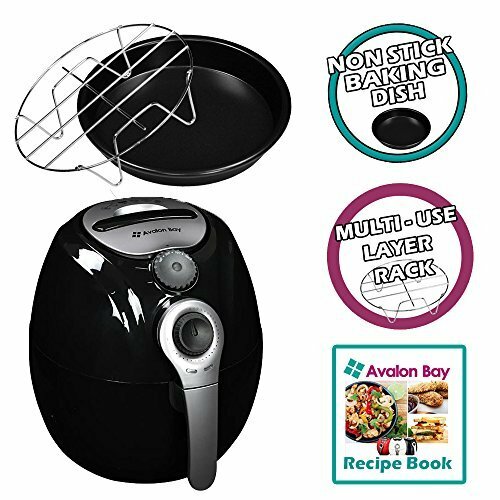 Do You Need Avalon Bay Airfryer? Avalon Bay Airfryer comes in different colors. That is black, white and red. It matches well with other kitchen equipment and many countertops due to its color. It has a compact size which means you can keep it anywhere. You can easily carry it whenever you need it using the handle. Avalon bay airfryer has non-slip feet which ensure that it does not slip off the bench. The mesh basket enables you to remove the food basket quickly. Avalon fryer comes with a metal basket which has a circular shape. It measures 8 inches and a depth of 3.5 inches. This allows you to adjust anywhere from 4 to 6 chicken drumstick according to the size. The food basket allows hot air to move around evenly and this ensures that the food is cooked evenly. Avalon Bay AirFryer is more expensive as compared to most of the fryers in its category. Its advanced features make it a bit costly since most of the fryers do not have most of the features. One of the major advantages of the Avalon bay fryer is its versatility. You can use it t cook different meals. You can also set it to cook within a particular time when you are doing other duties since it has a timer. Avalon Bay Air Fryer also cooks faster due to the heat circulation technology. This makes it be one of the best air fryers. You can clean the food basket and the non-stick drip tray in a dishwasher. The other accessories can also be washed in a dishwasher. You should allow the fryer to cool for around 30 minutes before wiping the visible parts using a wet cloth. You can clean the inside part using a non-abrasive sponge and hot water. Any food that is blocked by the heating element can be removed using a cleaning brush. Avalon Bay Airfryer has non-slip feet, and auto shutdown feature which reduces the risk of starting a fire. It has a handle which makes it easy to carry. The handle remains inside the machine and does not cause any inconvenience when not in use. It has a short power cord which you can push back into its storage when not in use. This prevents tripping and any accidental entangling. Avalon bay Airfryer has a temperature control unit which allows you to set your best temperature when cooking. This usually depends on the type of food you are preparing. You can choose a temperature between 176°F-400°F. It has an inbuilt timer which switches it off after 30 minutes. Avalon Bay Airfryer comes with a separate fry pan which provides more surface when you want to cook something like pancakes. This fry pan has a non-stick surface which makes it easy to clean. The Avalon Bay AirFryer contains a stainless steel element and a fan at the top. The work of this element is to heat up the air that is inside the fryer. The hot air is then moved to the food by the fan. This distribution of hot air cooks the food evenly. The fat that drips out from the meat when cooking drops into the drip pan. Oil particles are then moved up to coat the food by the circulating air. This happens fast and in a consistent motion. All this ensures that the food is cooked quickly using its fat. This ensures that your food is not greasy and there is no greasy smell in your kitchen. Ensure that you have set the fryer on a flat or a stable place. The voltage of the fryer should be the same as the primary voltage. Check whether all the parts are working well. Do not connect it into the earthed wall socket. Never connect it to the external timer switch. It should not be placed near combustible materials like a tablecloth or curtain. You should not put anything on top of it. Only take it to an expert in case it needs some repair. It does not come with a recipe booklet. It is not easy to set the best temperatures. It has a subtle cooking basket. You need to keep trying to get the best results. As we have seen from the Avalon bay airfryer review, this is the best air fryer you can buy. Unlike most of the fryers, this one comes in different colors, and it is very easy to clean. It is very easy to use and cooks fast. You can set it using the timer and allow it to cook as you do other duties. This makes it ideal for everyone. If you have been looking for a quality air fryer, definitely this is the best air fryer you should look for. It is worth buying, purchase it now and enjoy the excellent features it provides.